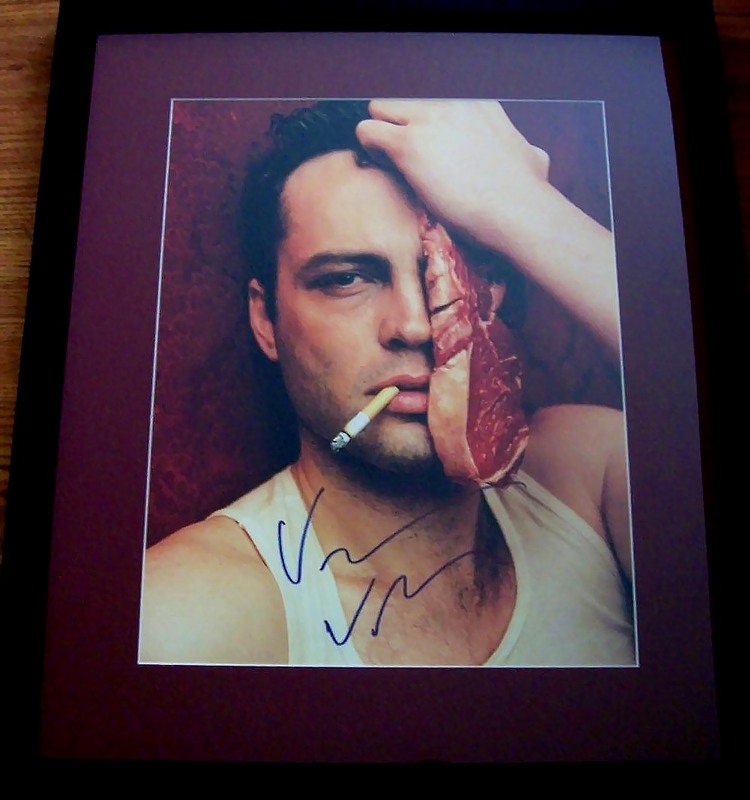 Spectacular 10 1/2 by 13 1/2 vintage color photo of actor Vince Vaughn autographed in blue marker, professionally matted in burgundy and framed with glass in black, ready to hang. Framed size is a bit larger than 16 by 19 inches. ONLY ONE AVAILABLE FOR SALE. With certificate of authenticity from AutographsForSale.com.